Abstract: The Zliechov Basin was situated inside the Austroalpine–West Carpathian shelf fragment detached from the Paleoeuropean margin at the end of the Triassic. 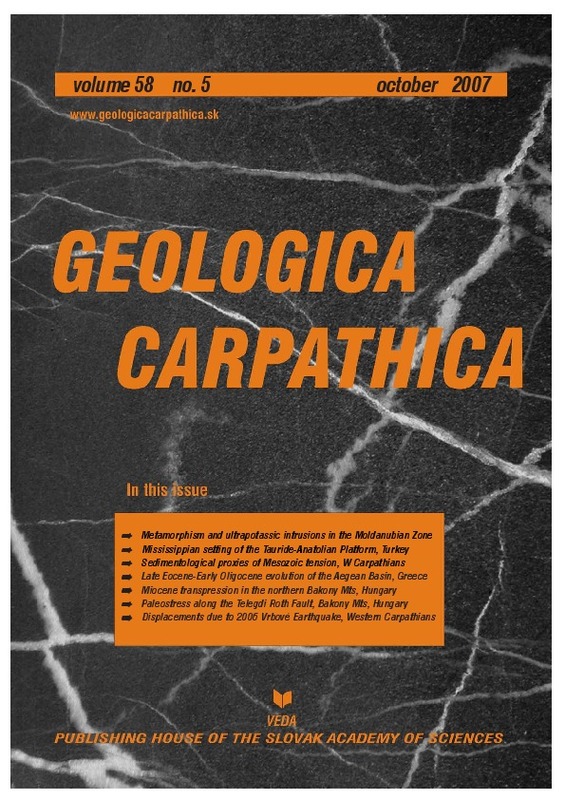 Information about changes of clastic support, bathymetry, benthic organism colonization etc. were recorded during microfacies correlation of sequences analysed in detail. Comparison of individual developmental stage models constructed by plotting of these data into paleogeographic schemes indicates paleogeographic and geodynamic changes in the Zliechov Basin evolution in the regime of continuous Jurassic to middle Cretaceous extension. This development is illustrated on the basis of two developmental stages. The uppermost Triassic stage preceded rifting in the Fatric area, when the depocentre of sedimentation was located in the southern part of the arising basin. Rifting culminated during the Early/Middle Jurassic and continued during the Late Jurassic and Early Cretaceous, when a large basin originated with complex bottom morphology, affected by normal faults.